We just got two new ThinkPads: the 14-inch ThinkPad E490 and its larger sibling, the ThinkPad E590 with a 15.6-inch screen. 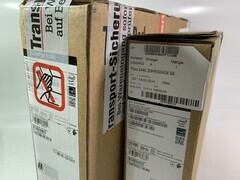 Lenovo's ThinkPad E-series represents inexpensive business laptops, but they are also popular among private users thanks to their solid specs and the good keyboard. The 2019 ThinkPad E laptops are basically hardware updates with Intel's new Whiskey Lake chips and updated wireless modules, but the cases are identical to last year's models. This means there should not be any surprises, but we are still interested in the SKU with the dedicated GPU. 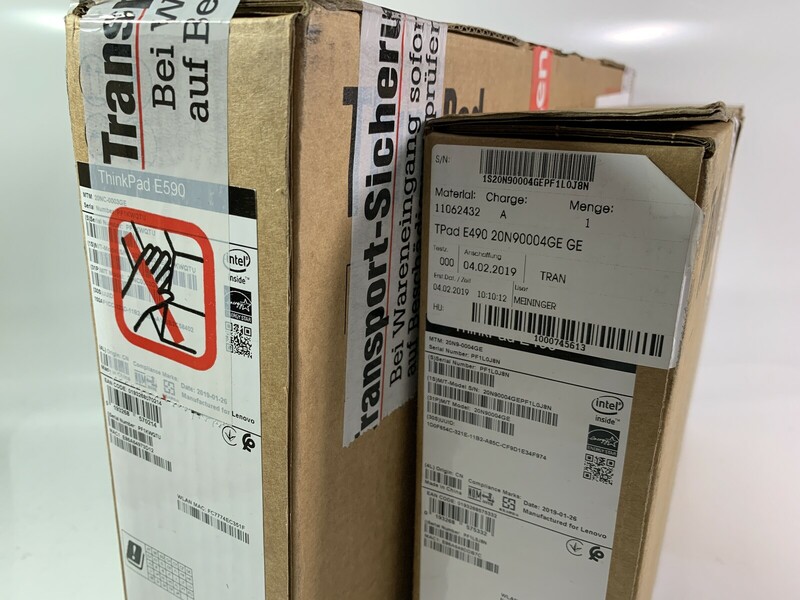 The old E480 with the Radeon RX 550 had temperature problems, and Lenovo had to roll out a BIOS update that reduced the GPU performance to fix it. 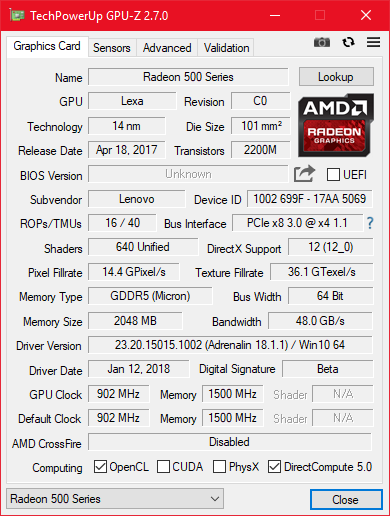 After Lenovo reduced the GPU performance of the E480 significantly via BIOS update, there does not seem to be an issue here. According to the initial benchmarks, the performance of the Radeon RX 550X is on the expected level and about 12-15% ahead of the previous Radeon RX 550. The advantage is a result of the higher core clock, because it is basically the same GPU. We performed our stress test with the two synthetic tools Prime95 and FurMark to simulate a maximum load scenario and reach the highest temperatures. This is certainly not a standard scenario for an office device, but you will probably do some gaming if you go for the SKU with the dedicated GPU. This means the load results are definitely interesting, especially when the ambient temperature will get higher (summer). 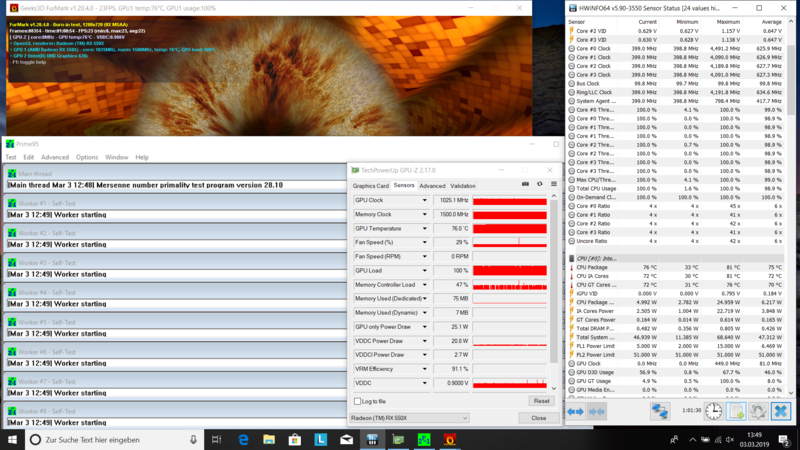 Both the GPU driver as well as the BIOS version (1.10) are up to date. We start with the good news: The GPU performance is very good, even in a combined workload scenario. The GPU clock fluctuates between 1000-1040 MHz and is not far off its maximum value (1176 MHz). The processor operates at a consumption of 25W for a short while and then levels off at the usual 15W, which is sufficient for 4x 1.8-1.9 GHz. However, this value cannot be maintained over the course of the test, and the laptop will eventually limit the consumption of the mobile quad-core processor to just 5W, which results in 4x 400 MHz. 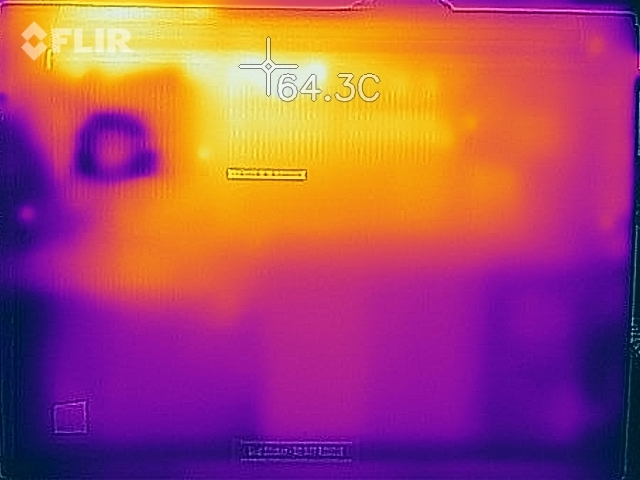 Both the CPU as well as the GPU hover at ~75 °C on average during the stress test, which is not a bad result. 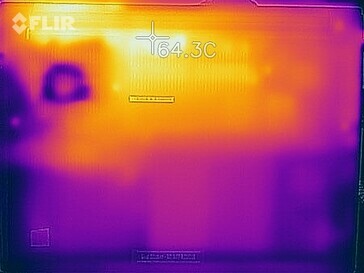 However, the high surface temperatures show that the cooling solution is juts not powerful enough. We record more than 50 °C at the top and almost 64 °C at the bottom of the base unit. 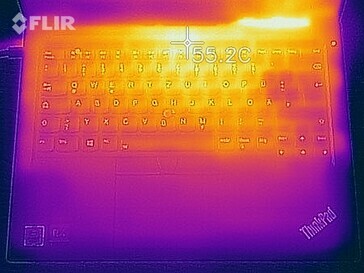 Compared to the E480, where we recorded more than 70 °C at the bottom, this is a small improvement (since the core temperatures are also lower), but these temperatures are still way too high for an office laptop in this performance class. (-) The average temperature for the upper side under maximal load is 39.3 °C / 103 F, compared to the average of 29.4 °C / 85 F for the devices in the class Office. (-) The maximum temperature on the upper side is 53.1 °C / 128 F, compared to the average of 33.9 °C / 93 F, ranging from 21.2 to 62.5 °C for the class Office. (±) Playing The Witcher 3, the average temperature for the upper side is 37.7 °C / 100 F, compared to the device average of 29.4 °C / 85 F.
It looks like Lenovo did not change the cooling solution of the E480 for the new 2019 ThinkPad E490 after our initial tests. The temperature limits for the two processors are a couple of degrees lower in a direct comparison, which results in lower surface temperatures. However, we still think more than 60 °C at the bottom and more than 50 °C at the top of the base unit are too hot, especially for the performance class. The processor clock, which drops to just 400 MHZ in our stress test, is another indicator for an insufficient cooling performance. The current BIOS version is at least not limiting the graphics performance for now.